So as a photographer artist, I sell and display my work in different formats to make the work available to as many people as possible. This should be the goal of most serious photographers who wish to be known or to be out there. Making your work affordable is important but making it accessible and flexible to different avenues of sale – is key. Whether it be print, book, folio, postcard, calendar or PDF download, this workflow answers problems of having multiple copies of the same image for those different projects. Maybe you decided to process the image differently or heaven forbid you noticed a spot or mark which went unnoticed! Do you re-create all the copies of that image again ? So how do you manage different layouts while keeping your source image consistence and it changes up to date through out your different products ? How ? well, InDesign works in an interesting way, that is the file is just linked, not incorporated into the InDesign file itself. So the project files end up only being a few megabytes for a work which might content 10-12 images such as folio or calendar. What about the changes? When you make updates in Photoshop to the linked PSD or TIFF these changes are reflected through each of your various projects with their layouts in InDesign. In fact your don’t need to have photoshop even if you’ve made edits to the linked image in another editor these modifications will be in the InDesign file. Not only does it centralize these changes but it reduces the need to have multiples of the same image on your drive. This alone will save you space on your drive and your backups to. Once you’re finished working with your image, export it at a resolution of 360 DPI with a large enough size. I prefer to use 18.75″ x 12.5″ as this fits on 13″x 19″Super A3 size paper with a small surround margin. As this is largest paper size my Epson R2400 supports. If you upgrade your printer or work with a larger size then re-export from the RAW file accordingly. 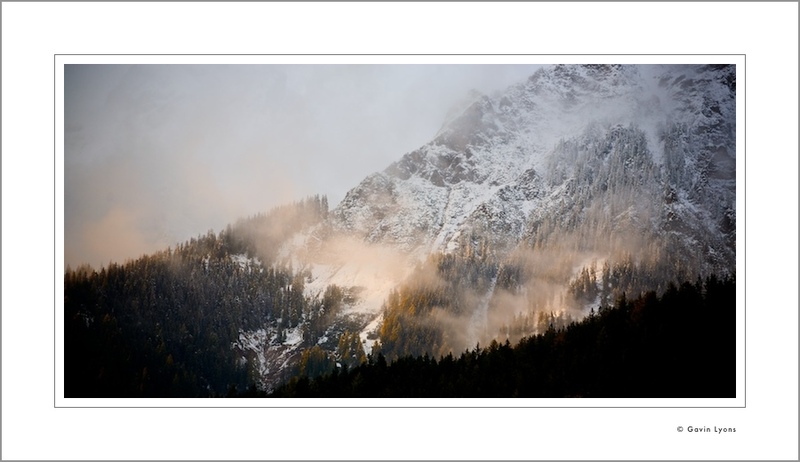 There are many discussions concerning what resolution should I sent my image to the printer ? if you set your image at 75dpi or 720dpi it won’t make any difference as your printer will upscale or downscale to it’s own native resolution internally. But with that say most inkjets like Canon or Epson use 360 dpi natively. However using some setting within the printer driver such as PhotoRPM on the Epson side of thing will bring the resolution to 720dpi however I believe this is just interpolated. Now for small prints with a lot of fine details it maybe worth this but for larger prints it’s pretty much a waste. My recommendation is to send the printer 360dpi as default so no up-scaling or down-scaling occurs within the basic processor of the printer. You really want Photoshop to control the scaling or re-sampling, as you have more sophisticated the choices with better algorithms with the advantage of seeing the result on screen. I would recommend PSD files, as InDesign can switch on and off layers in the PSD files quite easily. This opens up other possibilities, such as copyright information or a sharpening layer. 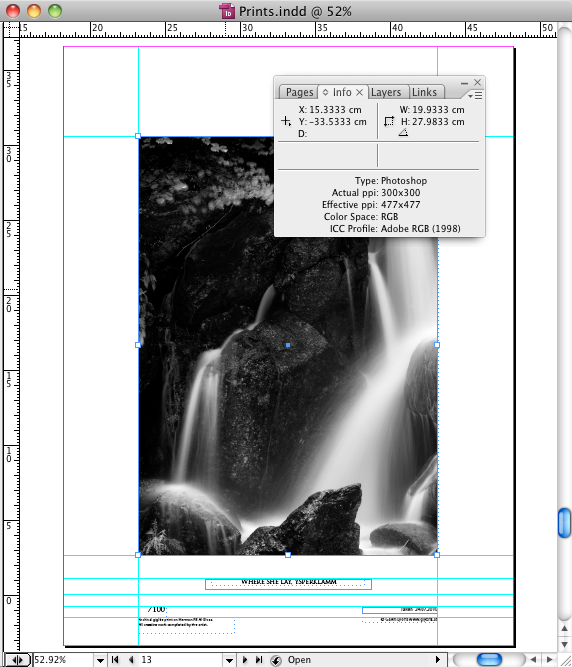 Now to answer the question, InDesign will scale the DPI as needed for the size of the document. So one source – multiple designs. See the screenshots below and take note of the Info Panel and the PPI.